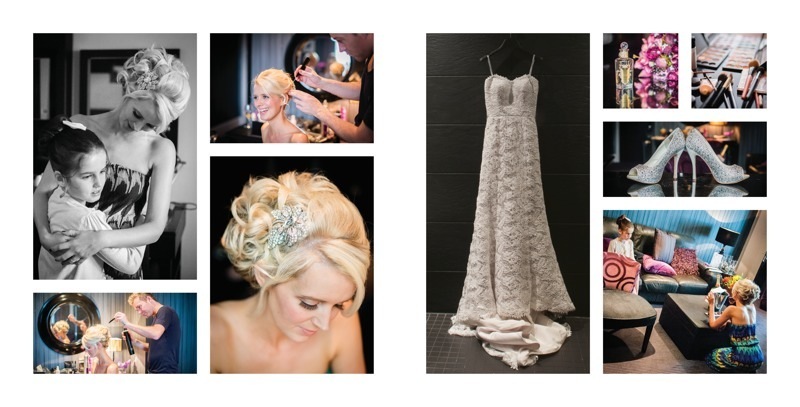 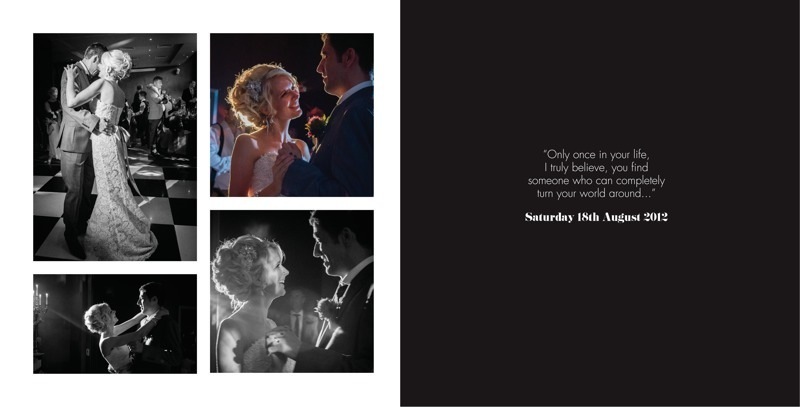 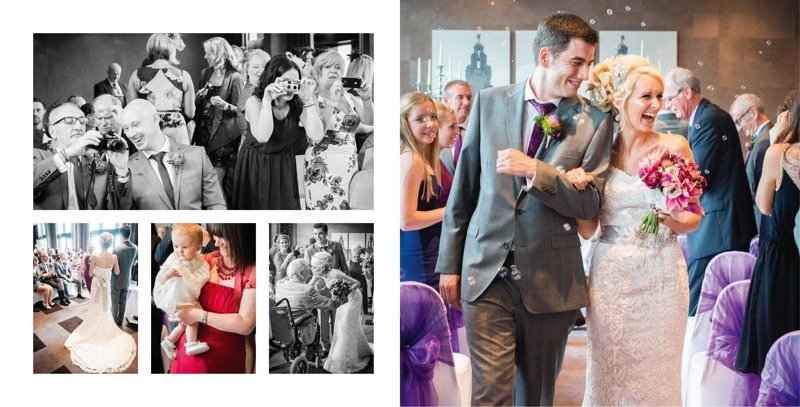 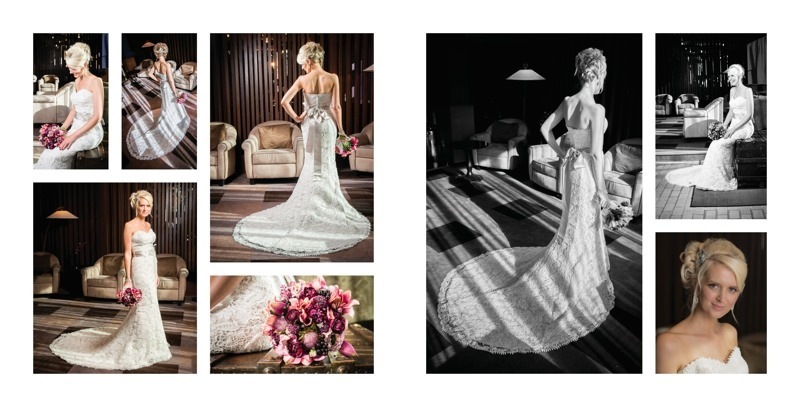 The images you see here are the layouts used in Emma and Chris’s actual wedding album. 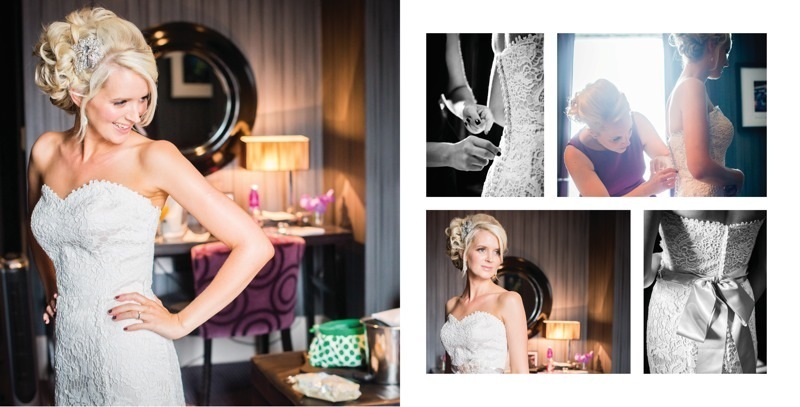 Emma and the girls got ready at Malmaison too, the rooms really lend themselves to make a great backdrop for photographs. 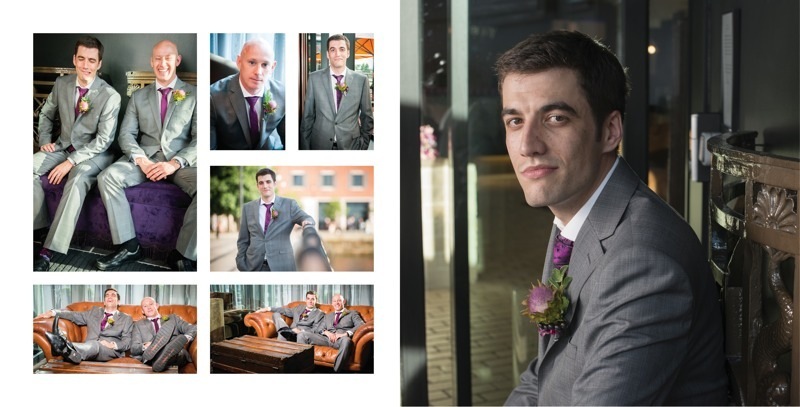 The rooms for ceremonies and wedding breakfasts are spacious and offer natural light, with lovely chocolate browns, velvet blacks and purples in the background. 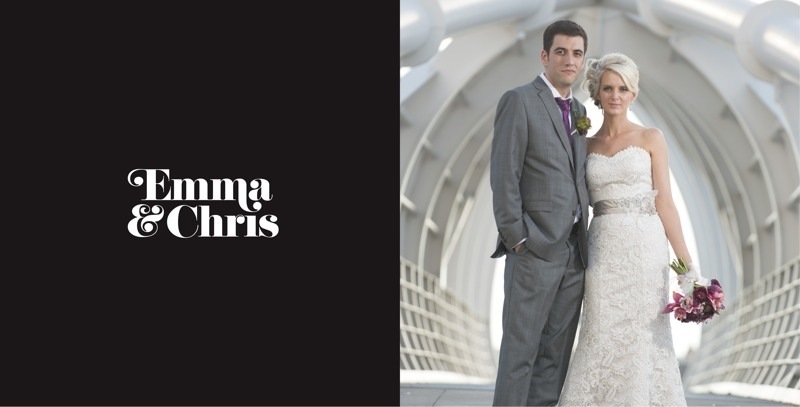 Outside the charcoal grey of the building offers a fabulous backdrop for group shots as well as having the iconic Liver building in the background. 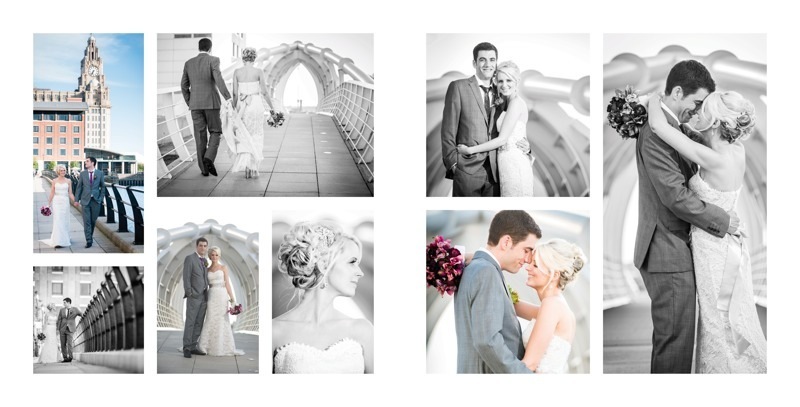 You can take a stroll alongside the water of Princes Dock which makes for some fabulous couple shots. 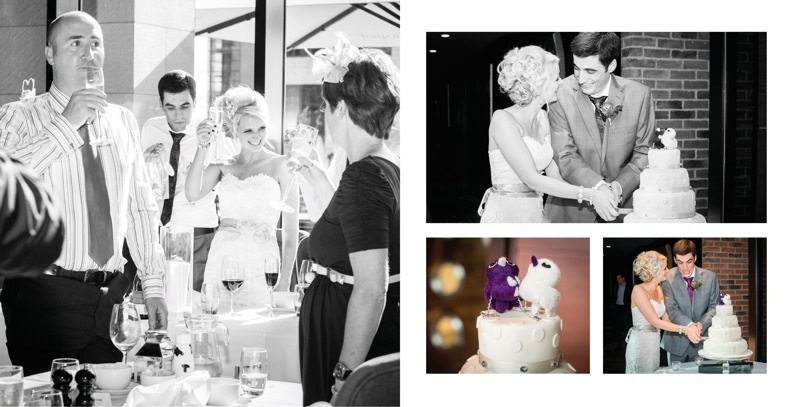 Malmaison have a lovely wedding team that are dedicated totally dedicated to your wedding. 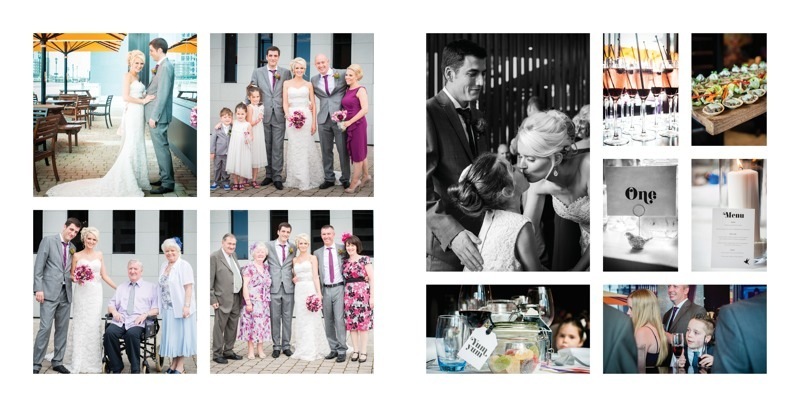 We have shot a number of weddings here and every one has been amazing!